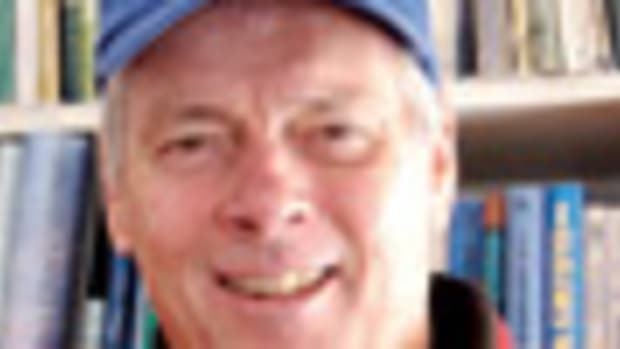 US Sailing intends to nominate Gary Jobson of Annapolis, Md., as the organization’s next president. The group’s board of directors will elect the president at the annual general meeting Oct. 25 in Houston. The president serves for a one-year term and a maximum of three consecutive terms. 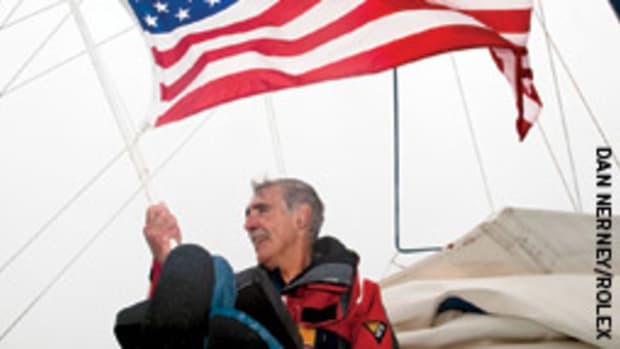 Current US Sailing president Jim Capron, also of Annapolis, has led the organization since November 2006. Jobson, 58, is currently a member of the board of directors. He also has served on the Olympic sailing committee for 12 years. A world-class sailor, television commentator and author, Jobson has served as an ambassador to the sport. 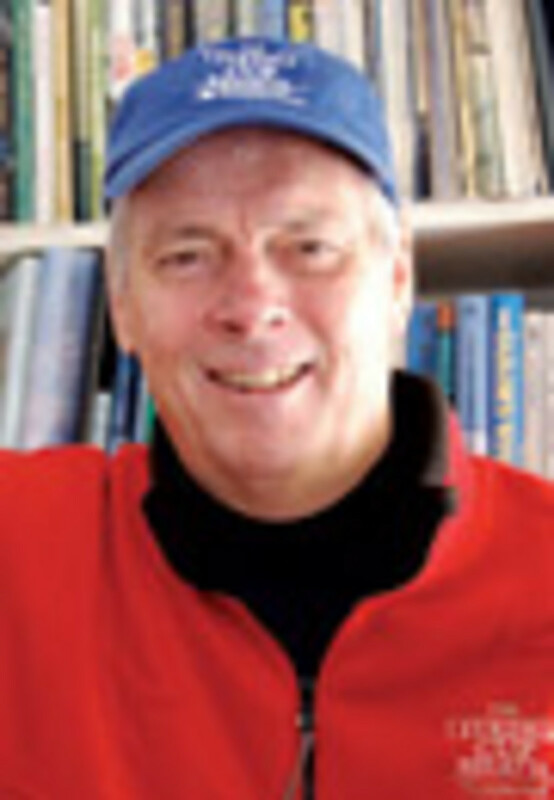 He has authored 16 sailing books including the first US Sailing Instructor’s Manual, and is editor-at-large of Sailing World and Cruising World magazines. Jobson was the television broadcast producer for the sailing competition at the 2008 Olympic Games on NBC. Jobson won the America’s Cup with Ted Turner in 1977, the infamous Fastnet Race and many of the world’s ocean races. In 2003, Jobson was inducted into the America’s Cup Hall of Fame. Jobson is also the national regatta chairman of the Leukemia & Lymphoma Society’s sailing program, which has generated more than $28 million. Jobson has been ESPN’s sailing commentator since 1985. 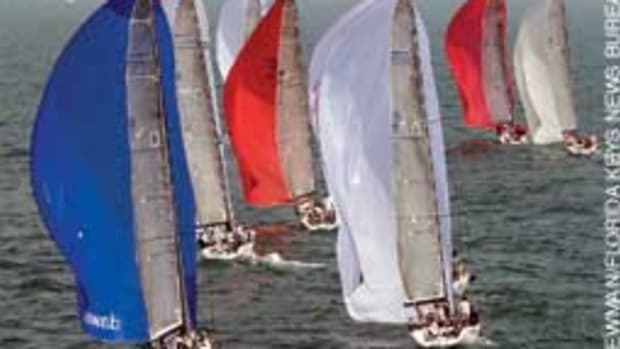 This event, one of the highest profile women’s keelboat regattas in the world, takes place Oct. 7-10 at the Rochester (N.Y.) Yacht Club in Rochester. For information, contact event chair Anne Beadling by e-mail at riwkc09@gmail.com or the Rochester Yacht Club at (585) 342-5511. 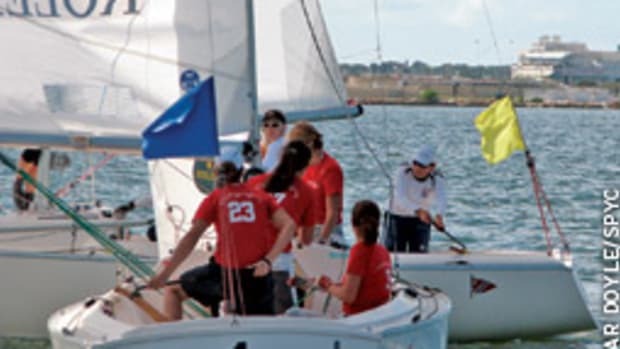 In conjunction with the Intercollegiate Sailing Association, US Sailing is featuring a new seminar for young sailors competing June 26 and Aug. 10 at the US Youth Sailing Championship and Chubb U.S. junior championships. The College Sailing Seminars sponsored by Gill North America provide a forum for young sailors to learn about opportunities in college sailing. The seminars will include informational presentations on sailing at the intercollegiate level, as well as question-and-answer sessions for youth sailors with college coaches from around the country. 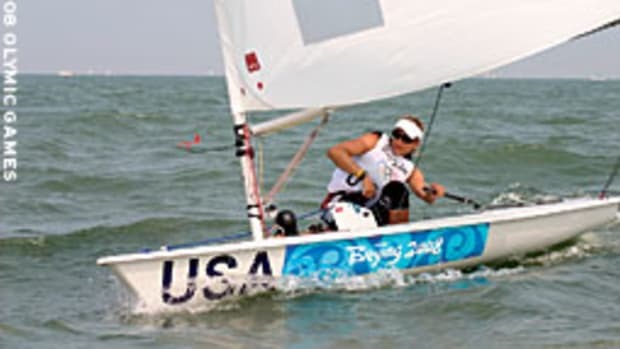 Other topics include sailor evaluation, varsity and club sailing, rules on financial assistance, eligibility, and integrating college sailing with Olympic aspirations. To participate, contact Mitch Brindley at mbrindley@collegesailing.org. 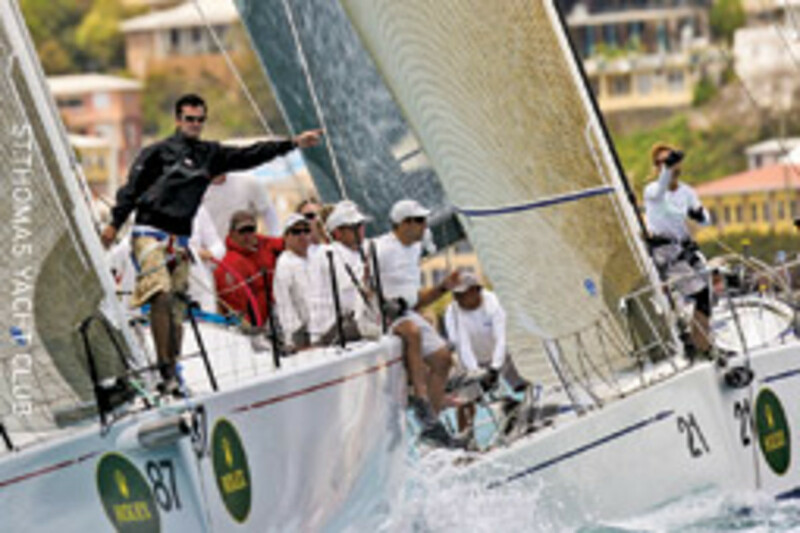 The International Rolex Regatta, hosted by St. Thomas Yacht Club for 36 years, this year saw more than 60 local and visiting teams from the United States and Europe. In IRC class, Jim Mitchell’s RP52 Vincitore turned in two more seemingly effortless victories, adding them to three others in a six-race score line. 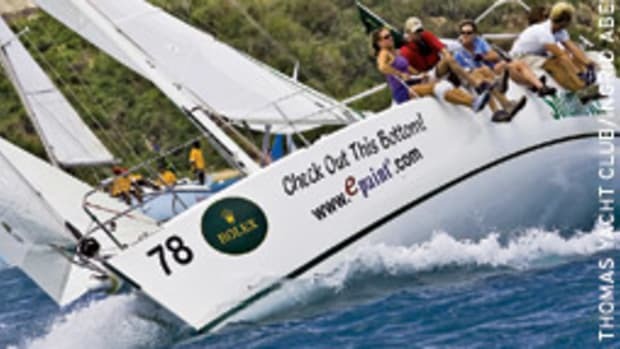 The boat posted bullets in two “town” races that put both tourists and islanders into stop-and-watch mode as the fleet made its way from the club to the harbor of Charlotte Amalie and back. The final course played more to an audience of offshore sea birds, but Vincitore impressed the rest of the class by legging out early and never letting up. Phil and Wendy Lotz’s Swan 42 Arethusa from New Canaan, Conn./ Newport, R.I., which posted a 3-3 final day, finished second overall on a tiebreaker with Ron O’Hanley’s Cookson 50 Privateer from Boston. That left David Aisher’s Rogers 46 Yeoman XXXII from the United Kingdom in fourth, with Jim Muldoon’s Custom 72 Donnybrook from Washington finishing fifth. Dave West of Tortola, BVI, who steered his Melges 32 Jurakan to victory in the CSA Spinnaker Racing class, says it was great to win a Rolex watch, especially after three previous attempts to win this regatta in the same boat. Any of four boats could have won the CSA Spinnaker Racing/Cruising class going into the final day, but it was the regatta’s early leader, James Dobbs of Antigua, sailing his J/122 Lost Horizon, that pulled the rabbit out of the hat. “We figured we had better than a 50 percent chance of winning,” says Dobbs, who before the race reviewed everything he and his crew did wrong to let them fall into second place behind Bruce MacNeil’s Morris 48 Barra from Lincoln, Mass. “You gotta learn from your mistakes,” he said after winning his final two races and posting a winning total of 15 points to MacNeil’s 18. In the CSA Non-Spinnaker class, Thomas Mullen’s J/120 Shamrock V of Campton, N.H. maintained its lead by finishing third in that class’s single race. Chris Schreiber of Christiansted, USVI sailed his Hobie 16 Auto-Manic to a second place to stay at the top of his class. 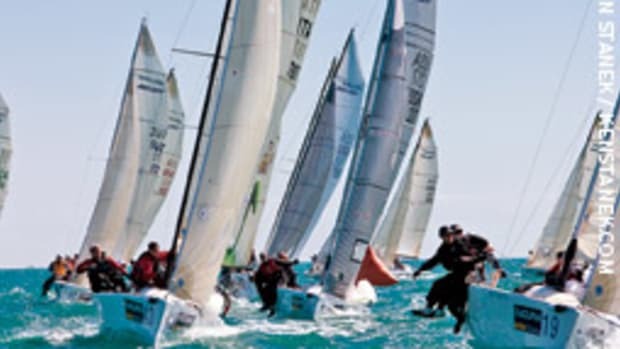 The Breakwater Yacht Club of Sag Harbor, N.Y., was set to host the Black Seal Sprit Fest Regatta featuring two days of racing May 30-31 on Noyac Bay. The third annual regatta features class starts for J/80, J/105, J/109, J/120 and a PHRF Division for all other sprit boats. For information and registration forms, see www.breakwateryc.org. Sperry Top-Sider and the New York Yacht Club have announced a multiyear partnership. Sperry Top-Sider will serve as the exclusive footwear sponsor of the inaugural and much-anticipated New York Yacht Club Invitational Cup, to be held Sept. 15-19 in Newport, R.I., as well as be involved in additional New York Yacht Club events. The New York Yacht Club Invitational Cup will feature competitive, world-class, Corinthian sailing among 21 teams representing premier yacht clubs from around the globe, and will be sailed on Narragansett Bay and Rhode Island Sound. The Storm Trysail Club’s biennial Block Island Race Week presented by Rolex, is set for its 23rd running from June 21-26. The regatta, which traditionally features five days of racing in both handicap and one-design classes, will also serve as the inaugural North American championship for the J/122 class and the East Coast championship for the J/109 class. 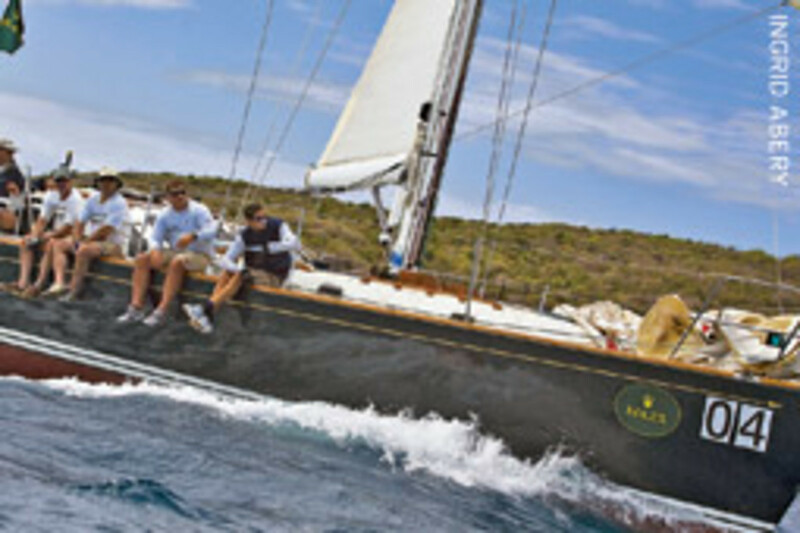 The Notice of Race and online registration are available on the official event site at www.blockislandraceweek.com. The Storm Trysail Club expects to field more 180 boats this year in IRC, PHRF and one-design classes. New this year will be a class start for sportboats. As the first major championship for the J/122 class, expectations from the fleet are high and eight of the 40-foot performance cruisers have indicated they will be there for the one-design start. “I expect the competition to be intense,” says David Askew of Annapolis, Md., owner of Flying Jenny VI. 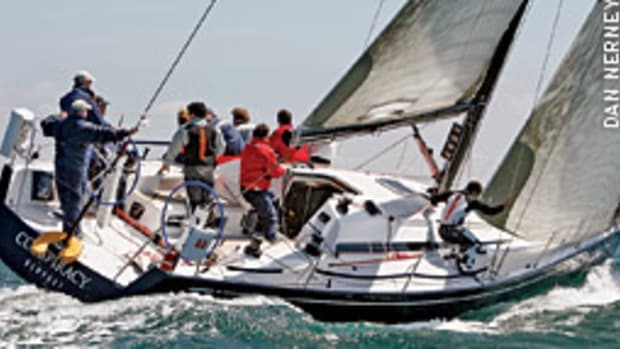 Askew is no stranger to Block Island Race Week. He won his class in 2007 in a J/120 of the same name.